Summit To Eat - Says it all really. Food that can eaten anywhere at any time, even in the highest mountains or by beautiful lakes or on a campsite on a hiking trail. I've always wanted to do long hikes, whether it be around the UK or abroad. However, I did wonder about food, and what kind of foods I would have to take with me to keep my energy up. The other thought is the weight of the food and whether it needs to be cooked, or warmed up or even made from scratch. If it needs to be made, how much water will be required to make the food? 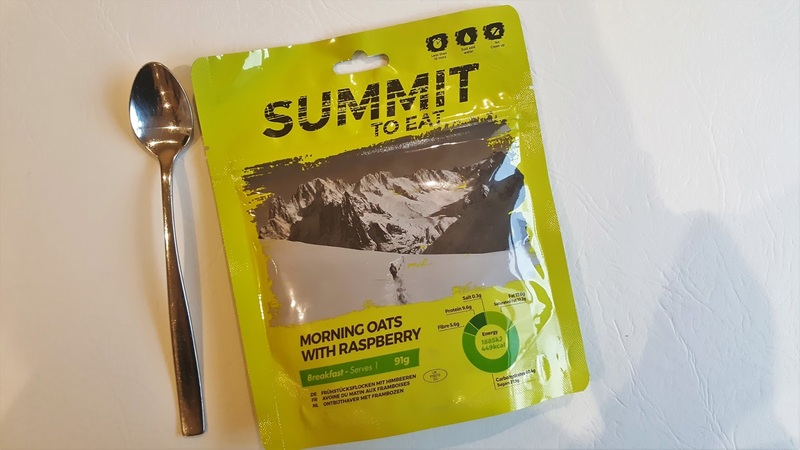 There is so much to think about, so I thought I would trial Summit To Eat to see what one of the options is like. 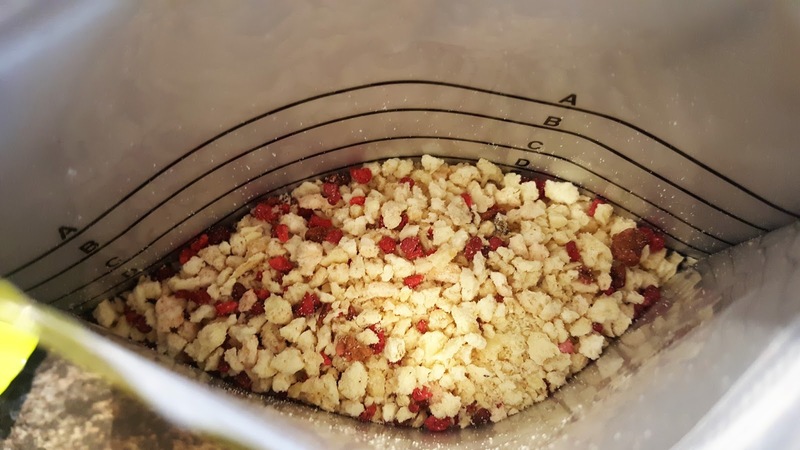 I have of course, tried a few meal replacement drinks that only require water and a shaker, so I am well aware that water is hugely required for a lot of food items when out and about. 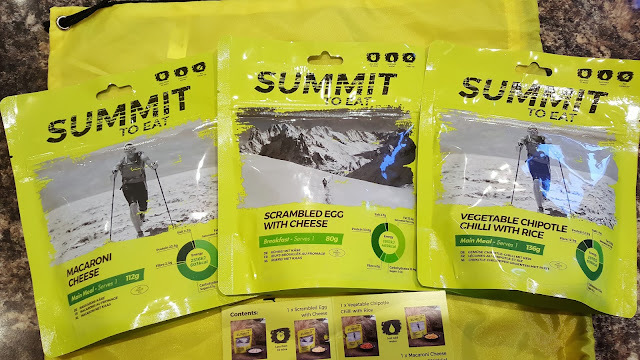 Summit To Eat is all Freeze Dried food. So you just need to add Hot Water and then wait. Most of the packs say approx. 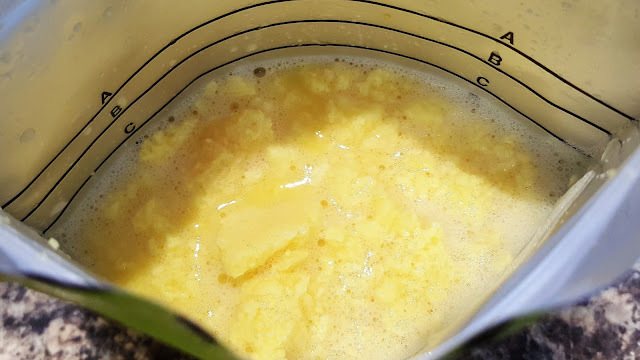 10 minutes, so you just need to boil up some water and pour in the desired amount and then carry on doing whatever you need to do, and in 10 minutes, you have a meal. Although, even after 10 minutes, its still really hot, so it could take anything between 8 and 20 minutes before you actually eat anything. The bonus part is that it's all hot, so if you are in a cold environment, Summit To Eat is perfect. They have so many wonderful choices, so there is literally something for everyone. All meals are designed to completely fill you up and are all nutritionally balanced and with natural ingredients. They have breakfast, lunch, dinner and dessert choices, all from £4.50 to £5.50 each unless you buy them in bulk or a special kit collection that they have. Here is their collection with how much each pouch weighs, how much water will be required to make the dish and how many calories each pouch / meal has. Sound good don't they? In the collection kits they also have extras that you can add to these dishes or have on their own. Summit Tasty Selection @ £49.50 includes all the above dishes apart from the Vegetable Chilli and the Apple Crunch. 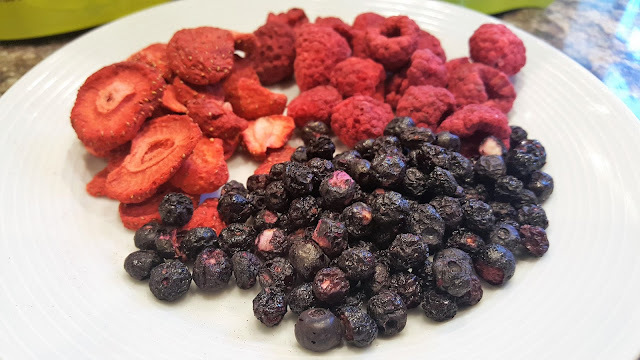 Fruit Selection @ £9.95 includes blueberries, raspberries, and sliced strawberries. Cheese Selection @ £10.95 includes Grated Cheddar, Parmesan and Mozzerella. Perfect for sprinkling over any of the main meals and scrambled egg. Another bonus is that each pouch is bright, waterproof and batter proof so don't be afraid of ruining what's inside, as you just can't. 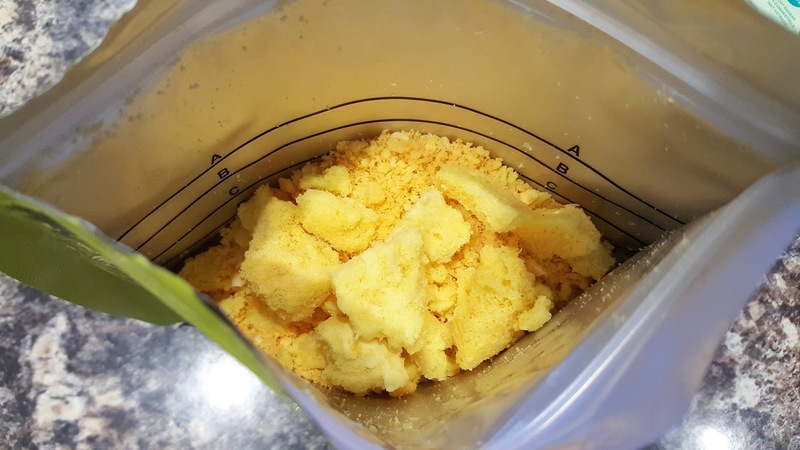 Plus its freeze dried, so it will be fine anyways. 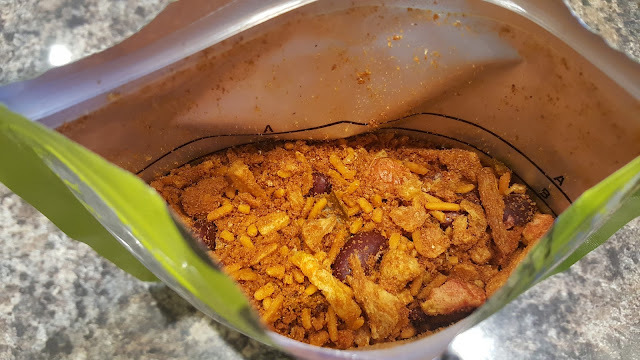 Each pouch doubles up as a bowl, so no need for extra items in your backpack. I tried out the Vegetarian Festival Kit and the Fruit Selection. 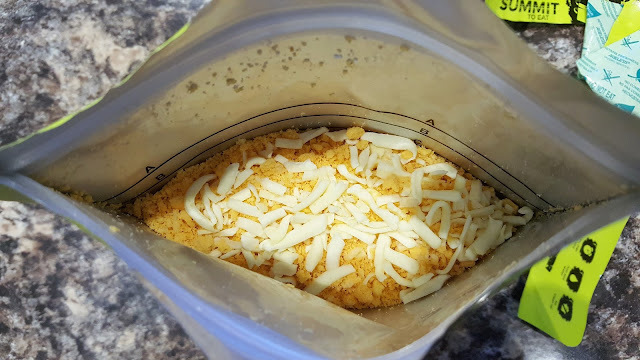 The pouches do look quite big, but they really don't weigh anything and you don't need any extra bowls or plates so once they are squished into a bag they are fine. Here are a few pictures to give you an idea of their appearance. Everyone has different taste expectations, so I think it is a good idea to try these out before you go on a trip and then at least you know which flavours are your favourites and only take those. So what you do you think of the appearance so far ? 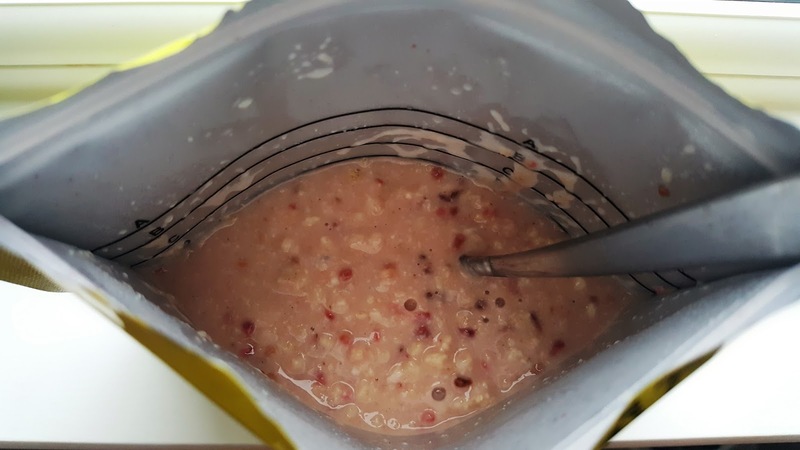 My favourites out of what I've tried is most definitely the morning oats with raspberry, and the macaroni cheese purely because the flavours are what I eat at home already and they are both creamy and full of flavour. The vegetable chilli was too spicy for me personally, but it has great reviews from anyone that loves spice, and the scrambled egg was not my thing, but then I eat eggs a lot so my expectations are very high on egg flavour. The Fruit Selection kit is brilliant. 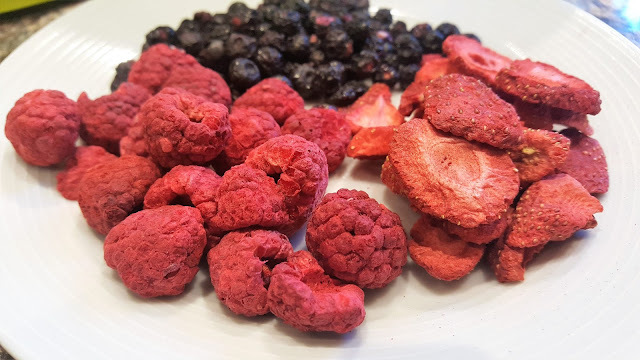 they all taste sweet and make a great snack, as well as adding to plain porridge if you required. I still need to try a few other flavours so I know which ones are my favourite, so the next ones I'd like to try are the Chicken Fried Rice, Salmon & Brocoli Pasta, Beef Stew, Pasta Bolognaise, Rice Pudding with Strawberry and the Custard Apple Crunch. What do you think ? Would you take dishes like these if you were staying out under the stars? You can buy them easily through Amazon too, although they are different prices, so make sure you check before buying.